A glove for under £35 that claims to be waterproof and actually is! I started using these as a back-up pair for my preferred, thinner summer gloves and they have been called into use many times as the British weather does its thing! 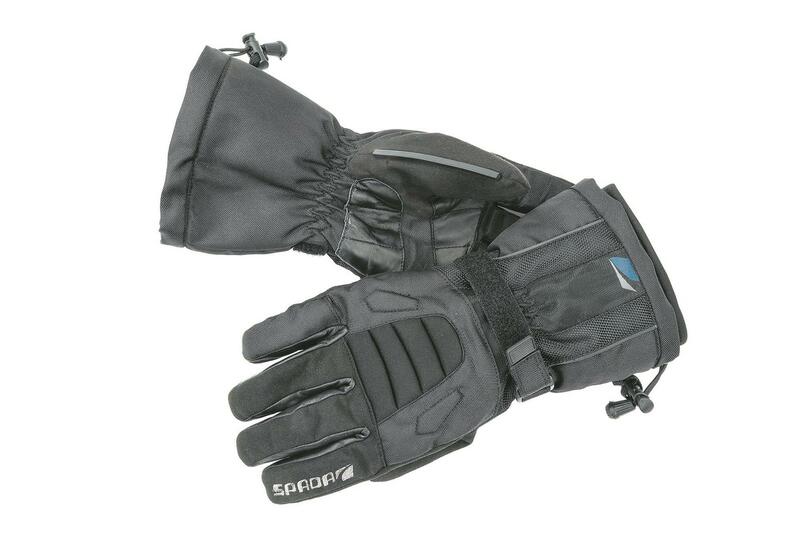 They are a great halfway house between full-on, fat winter gloves and summer gear. They are warm and the visor wipe works well. I read a few reviews about them coming up a bit big, so went for medium and they fit well. They were a little snug to begin with, but they have given a bit and I’m glad I went for a size down from my usual choice. I’ve only really worn them this summer so they have not had to keep me toastie on cold days, but so far I really can’t complain. They pack away small, but I would worry that protection is limited as there is only ‘soft’ armour and I’d also be concerned about using these for any length of the time when the temperatures drop towards freezing. They can also get a bit sticky to get on and off in the wet. They only come in black, but for the money, there’s a lot to like.